new to alaska I just moved to alaska in october and only know ..would be great to meet some new people! Does adrienne82ak belong in this group? Does cmorgan6969 belong in this group? 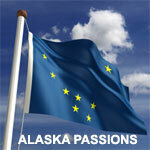 Love Alaska So much in Alaska to see and do,love the nature and all it's rich resource. Does alaskanyupik belong in this group? Does countrymanofgod belong in this group?